Jeremiah O’Donovan Rossa was born in 1831 near Rosscarbery, Co. Cork, and in 1856 he formed the Phoenix National Literary Society in Skibbereen. This was a secret society whose aim was Irish independence from Britain. In 1858 he was sworn into the Irish Republican Brotherhood. In December 1858 Rossa was arrested and jailed without trial until July 1859. He was accused of plotting a Fenian rising in 1865 and was sentenced to penal servitude for life. At his trial, he had been accused of ‘inciting the lower classes to believe they might expect a redistribution of property’. He was imprisoned in Pentonville, Portland and Chatham prisons in England, where for eight years he suffered inhumane treatment. He was fed on bread and water for 28 days at a time. In Chatham his hands were cuffed behind him every morning, and to eat he had to get down on all fours like a dog. In 1869 he was elected MP for Tipperary but his election was voided because he was imprisoned. Rossa was released in the general amnesty of Fenians in 1870 on the understanding that he emigrate and not return. He considered going to Australia, but settled on America. ‘The Irish Citizen Army … are of the number who believe that at the call of duty they may have to lay down their lives for Ireland, and have so trained themselves that at the worst the laying down of their lives shall constitute the starting point of another glorious tradition—a tradition that will keep alive the soul of the nation. 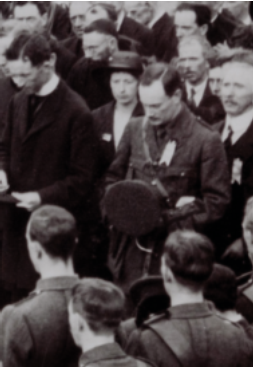 Pearse was the speaker pushed forward by Tom Clarke, in spite of opposition from many IRB men who disliked Pearse personally and suspected him of political opportunism. Yet Clarke saw in Pearse the qualities necessary for leadership. Not only was he a gifted writer and speaker, he was also an idealist and romantic visionary whose clarity of purpose and air of nobility appealed to Clarke. 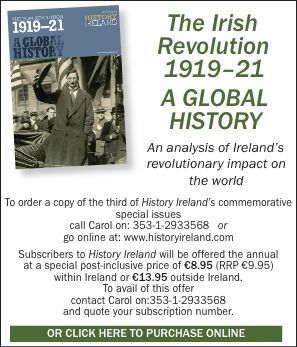 It was only after this oration that Pearse began to be taken seriously as a real IRB leader. K.T. McEneany (ed. ), Pearse and Rossa (New York, 1982). J. O’Donovan Rossa (with introduction by Seán Ó Luing), O’Donovan Rossa’s recollections (Shannon, 1972).